Everyone can agree that ERP software makes it easier to run a shop. However, it has to be the right kind of software for your shop, otherwise, everything becomes more difficult. For example, a job shop where every order is unique would need different strengths in their ERP software than a repetitive manufacturer. E2 Software is made to meet these different needs. E2’s Manufacturing System is made for repetitive manufacturers who need to track inventory of all types, handle large BOMs (Bill of Materials), and estimate or quote from past jobs. For a repetitive manufacturer, it’s very important to keep track of their inventory. 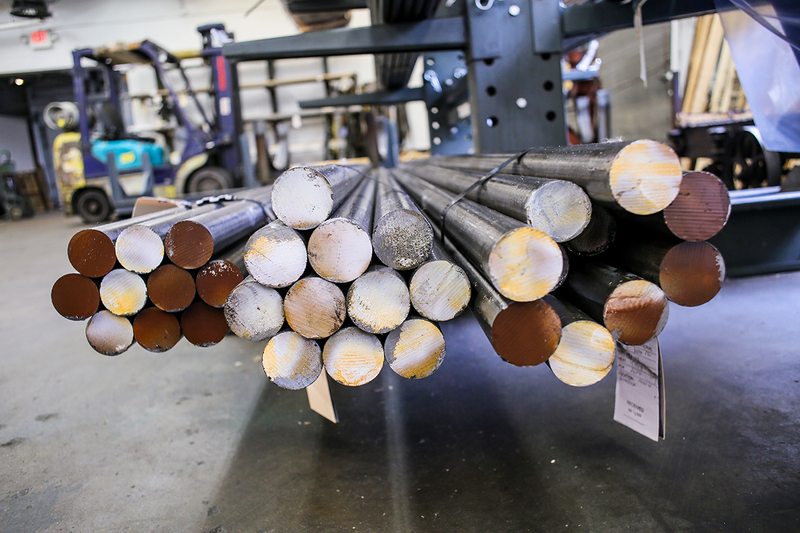 This inventory ranges from raw materials to finished products. E2 MFG was coded to be as flexible as you need, so you can run your shop and keep track of where everything is and where it needs to go. However, all of this information is useless if you’re not able to understand it quickly. An executive overview dashboard allows you to see your business’ key metrics, without the danger of inadvertently changing any of the information. As you know, keeping track of inventory is crucial when the parts you’re making have a particularly large BOM. When you’re running a job with several hundred parts or with sublevels on your BOM, it’s impossible to keep track of everything by hand. You need an ERP system to make sure that job has all of the parts it needs, and E2 MFG was created for that purpose. A BOM in E2 MFG can have hundreds of parts and expandable subassemblies. The system was designed to track everything and give a clear picture of what you need. Tracking everything on a BOM in your system makes it even easier to give accurate estimates and quotes later. As you know, having quick and accurate estimates or quotes can be what gets your shop more business. With E2 MFG, it’s easier than it ever was by hand. You can pull a quote from an old job, and it can update automatically for new prices on materials and labor. Alternatively, you can pull a quote or estimate from an old job, and change it to fit the new job. Essentially, once E2 MFG knows the costs for your materials and labor, it can tell you the cost to run a job and how much you should charge for it. It’s exactly what your shop needs to keep everything on track. For repetitive manufacturers, it’s crucial to keep track of inventory of all kinds, use complicated BOMs, and create estimates and quotes quickly and accurately. The E2 Manufacturing System meets all of those needs and more. Ready to take your shop to the next level? Contact Shoptech’s sales team today by email at sales@shoptech.com or by phone at 800-525-2143.